Large Men and Woman bathroom half images. 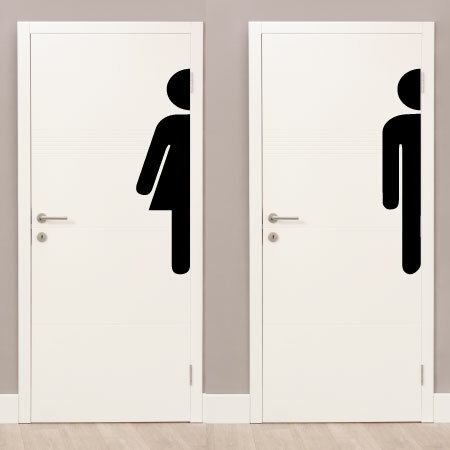 Want a unique and different sign identifying the mens' and womens' restrooms? These are perfect! They are large enough to take up most of the door and get them in a fun color for a hard to miss decor element!